For the past four or five years, my friend has hosted a pre-Thanksgiving dinner that he calls 鈥淪idesgiving鈥� because everyone brings their favorite holiday-season side dish. Even though he sets the date and sends invitations several weeks in advance, every single year I鈥檓 late because, at dinnertime, I鈥檓 still leaning down and peering into the oven, wondering whether hissing 鈥淥MGGGG COME ONNNNNN鈥� will make those sweet potatoes cook any faster. This year, I swear I鈥檓 planning ahead. 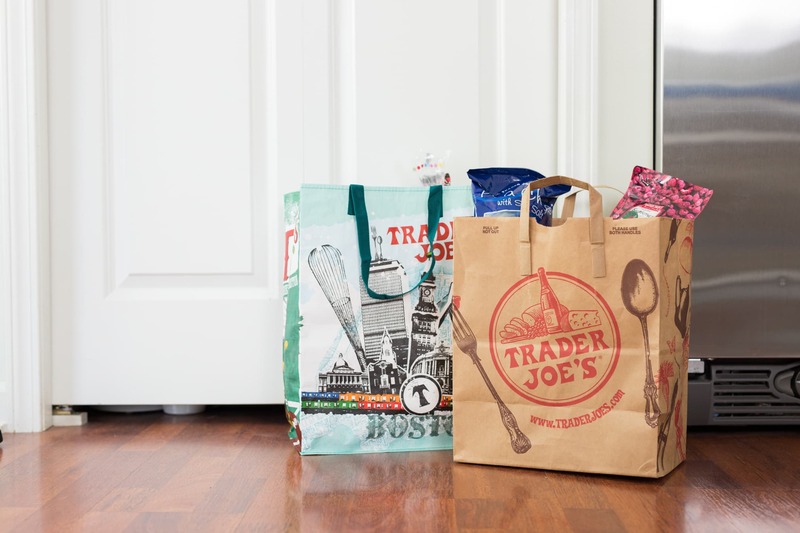 Either I鈥檓 going to bring a bowl of cookie dough and a dozen spoons (my REAL favorite side dish-slash-main course-slash-dessert) or just go to Trader Joe鈥檚 to pick up some of the Thanksgiving time-savers in its most recent Thanksgiving-themed Fearless Flyer. Based on the list of people who have already RSVP-ed to Sidesgiving, I鈥檒l pick up the gluten-free stuffing mix as well, which swaps the white bread for 鈥渘on-wheat flours, including rice flour, brown rice flour, tapioca flour, and potato flour.鈥� It costs $2 bucks more ($5.99, compared to $3.99 for the gluten-y version), but that鈥檚 totally worth it to ensure that everyone can spoon some stuffing onto their plates. Also, instead of cursing at my closed oven door, I鈥檓 getting two 20-ounce packages of mashed sweet potatoes with maple roasted pecans, which will be ready for the table in under five minutes. I like the no-nonsense ingredient list too: sweet potatoes, butter, pecans, maple syrup, cinnamon, and black pepper. And if my local store is sold out of those three things, I鈥檓 just buying a half-dozen bags of turkey and stuffing seasoned kettle chips. GUESS WHO鈥橲 GONNA BE ON TIME FOR DINNER THIS YEAR?